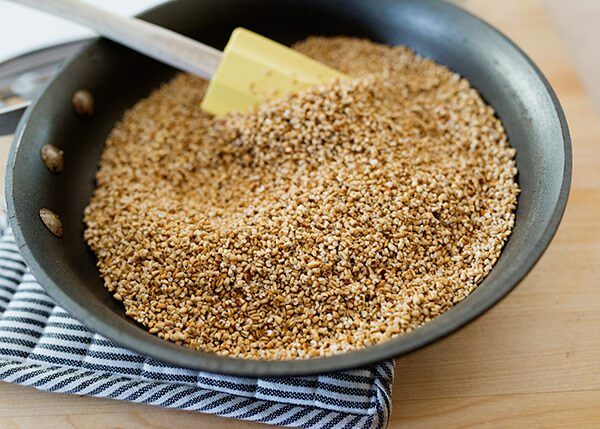 Steel Cut Irish Oats – 5 Ways. A hearty breakfast that you can customize to make your own. Almond Joy, berries and cream, maple and pecan, English spring, and sugar and spice flavors. For the last few months, I’ve really been upping my brunch game. I like to make one big brunch-y meal on Saturday and Sunday and take the rest of the day off. (Everybody needs to fend for themselves after that – I’m off duty.) I’ve been known to make the usual suspects – pancakes, waffles, muffins, quiche, frittata. All of these things are great, but every now and again, I like to switch it up. 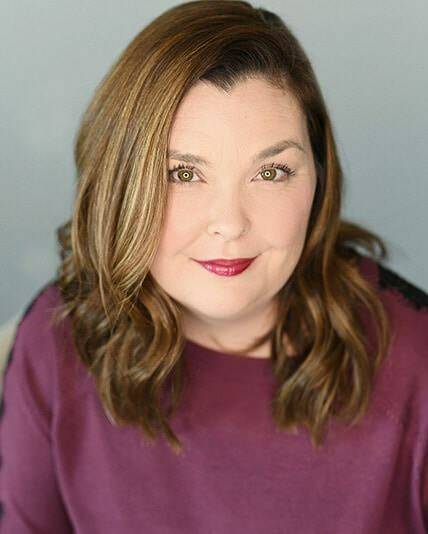 A lot of times we also have some sort of sports to do to on a weekend, and I want the kids to have a little more substance in their tummies before I send them off to play. Better-for-them breakfast – not empty calories. Something with whole grains, protein, and if I’m really lucky – some fruit. As much as I love to cook my family breakfast, a pattern that I’m seeing is that I’m slaving away in the kitchen while everyone else is enjoying their hot meal. By the time I sit down to eat, everyone else is finished and wanting to go do something else. I’m sitting by myself and it feels a little lonely. I’ve been thinking about things that I can make that I can enjoy at the same time as everyone else. 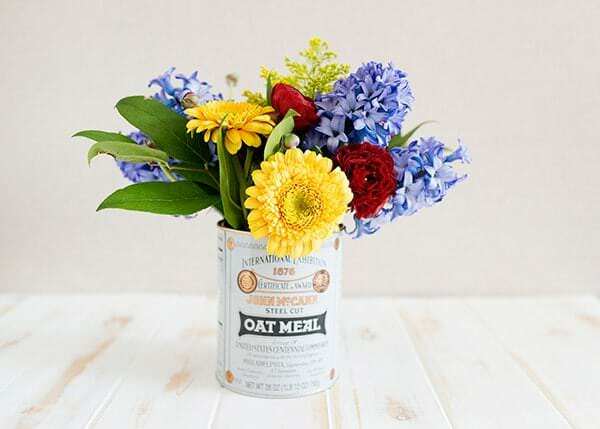 I got the idea for a steel cut oatmeal bar. While the oatmeal is cooking, I can get everything else together. (The toppings are what sell this breakfast.) 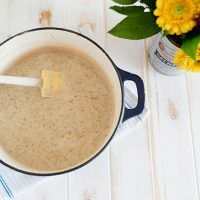 When it is time to eat breakfast, everyone can ladle themselves a bowl of hot oatmeal right from the stove and top it is however they like. Kids love anything interactive, so this is a winner breakfast. I have recently discovered that I like steel cut oats. I like that it has some bite to it, and has more texture than regular oatmeal (I save that for making cookies.) It does take longer to cook, but it is worth the few extra minutes. 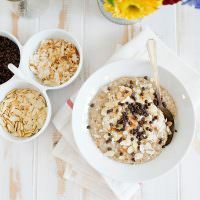 The end result is a nutty, creamy, oatmeal that is a canvas to add anything you like to make it your own. I think that toasting the oats before you cook them takes them to a whole new level. 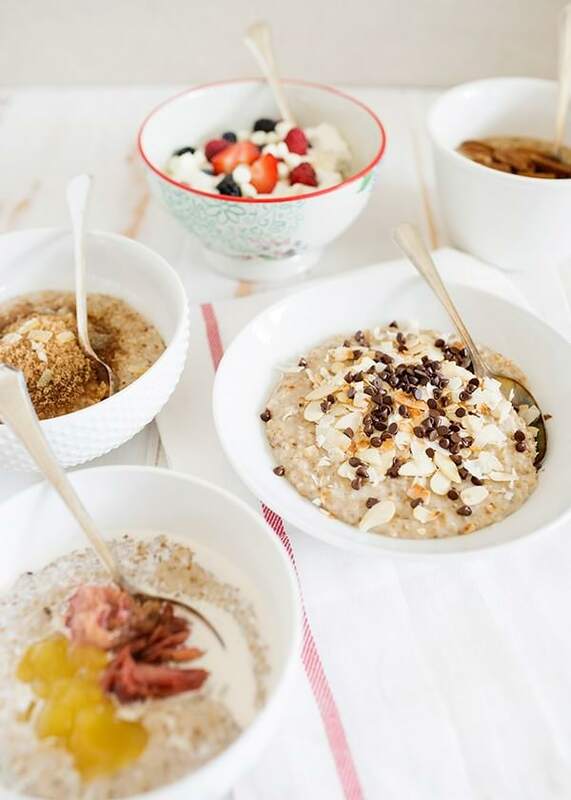 I shopped my fridge and pantry and came up with 5 different ways to dress up a hearty bowl of Irish steel cut oats. 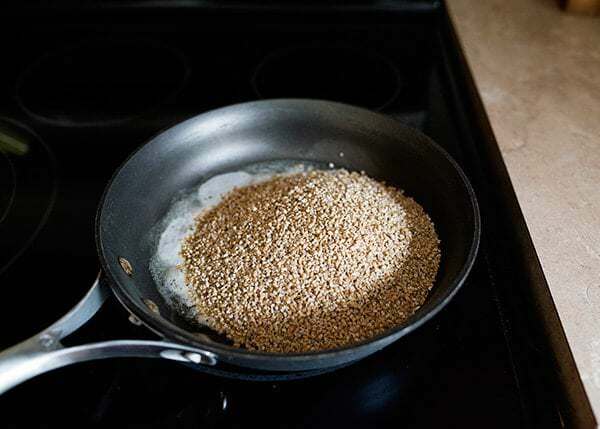 Even the simplest of ingredients can make something that is already good – incredible. 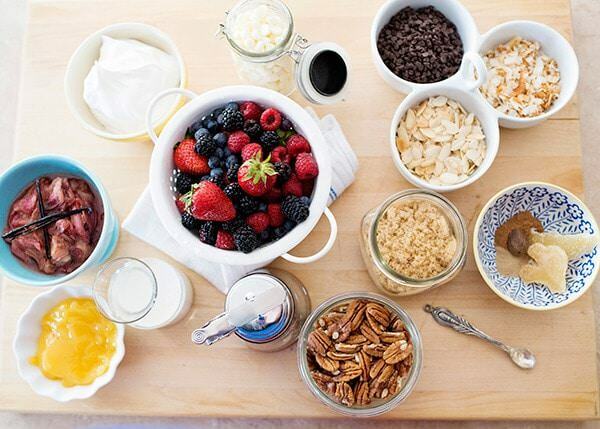 But first, we need to make some oatmeal. Add the oats and stir to coat the oats in butter. Toast gently in the pan, this takes about 5 minutes. 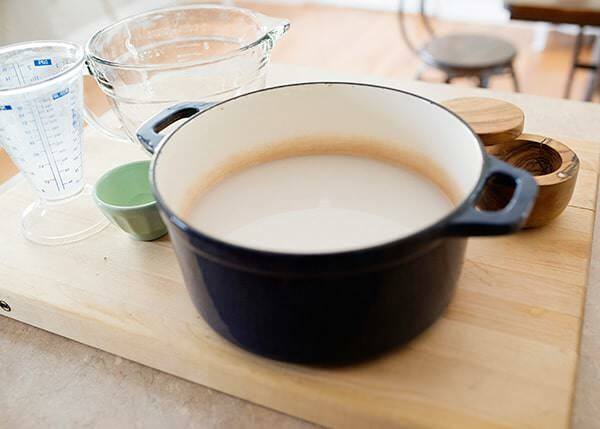 While the oats are toasting, pour the milk, water, sugar, and salt into a large pot. A large pot helps the oats not get mushy. 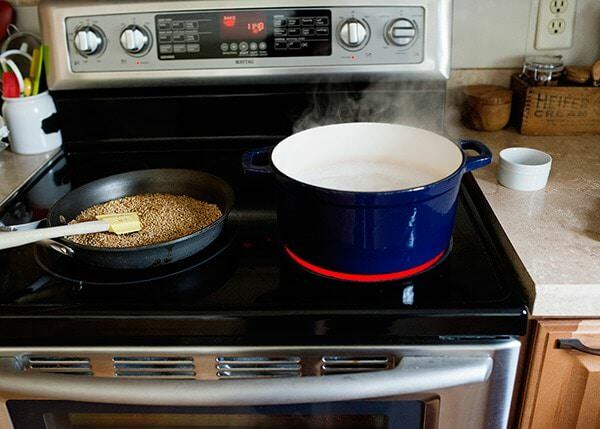 Bring the liquid to a simmer over medium heat while you are toasting the oats. Stir in the oats. Bring to a slow boil, then reduce the heat to low. Partially cover the pot. Stir occasionally to avoid the oats from getting clumpy and sticking to the pan. 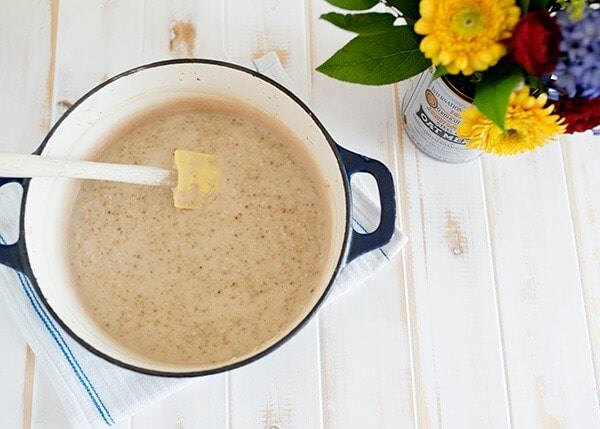 Cook for 25 to 30 minutes, or until the oats have thickened and have softened. It might be a little loose, and that’s okay, it will soak up liquid as it cools. Stir in the vanilla bean paste. First up – maple and pecan. Use the best quality syrup you can get your hands on. (Use the pure stuff, it is worth it.) Top with toasted pecans. Super easy. I call this one English spring – It what I imagine the upstairs eating at Downton. Roasted rhubarb with vanilla bean, lemon curd, and a pouring of heavy cream. Almond Joy – toasted coconut, toasted almond slices, and mini chocolate chips. 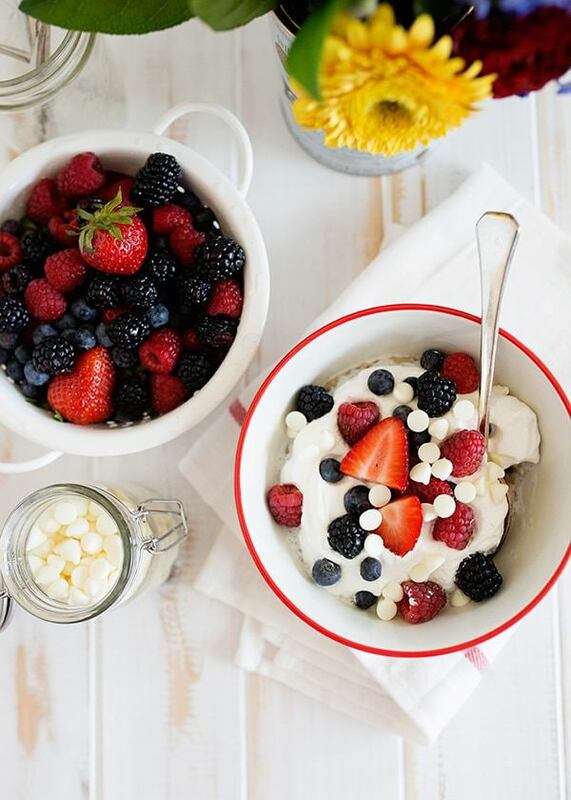 Berries and cream bowl. Freshly whipped and slightly sweetened cream, fresh raspberries, blueberries, and strawberries, and white chocolate chips. 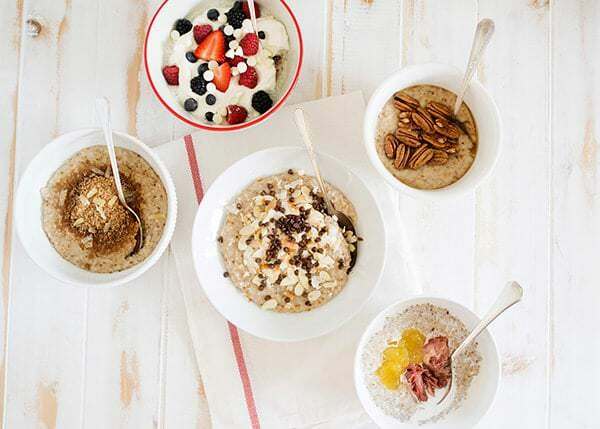 The possibilities for topping the oatmeal are essentially endless. I feel better sending my kids off for a busy sports day with a full tummy full of good things. 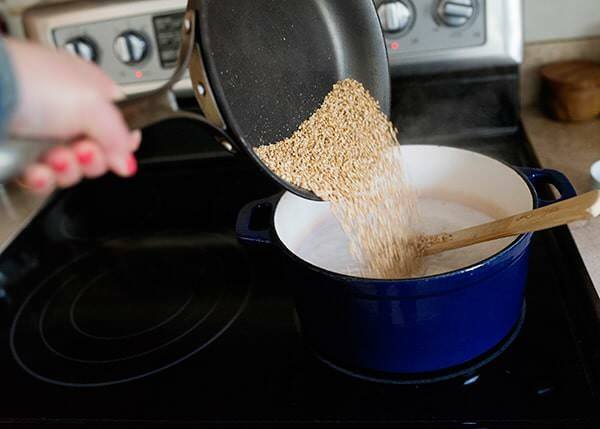 Toasting the oats before you cook them gives them an even nuttier flavor. This makes enough to feed 6 people. Perfect for feeding a busy family. Heat a large skillet over medium heat. Add oats and coat with butter. 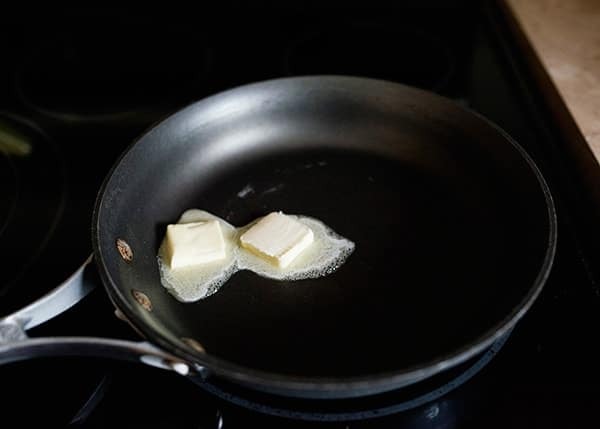 Toss in the pan until lightly toasted, about 5 minutes. 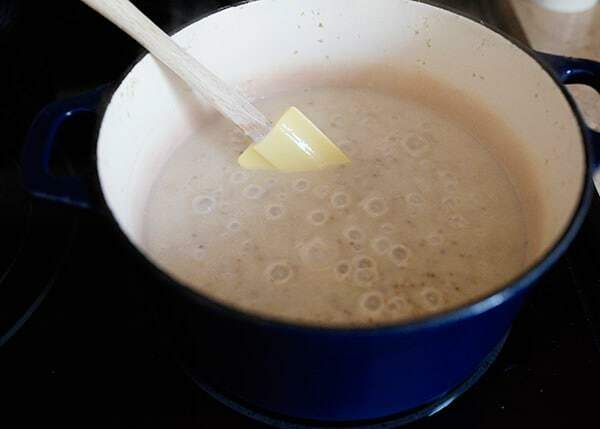 Add the oats and bring to a gentle boil, then reduce the heat to low, partially covering the pot. Cook until thickened, about 25 to 30 minutes, stirring occasionally. The oats will still be a little loose, but will thicken as they stand. 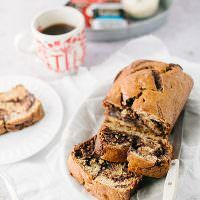 Adapted from Whole Grain Mornings by Megan Gordon. 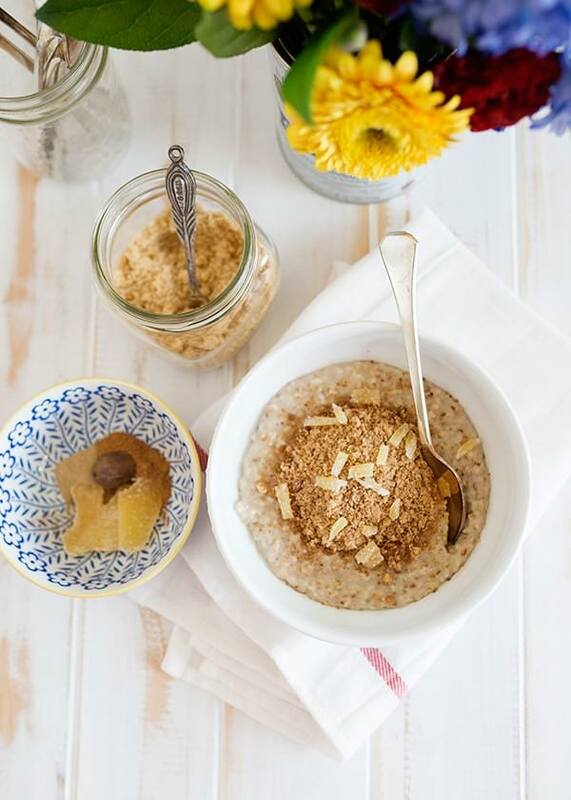 A simple yet flavorful bowl of steel cut oats. Preheat oven to 350°. 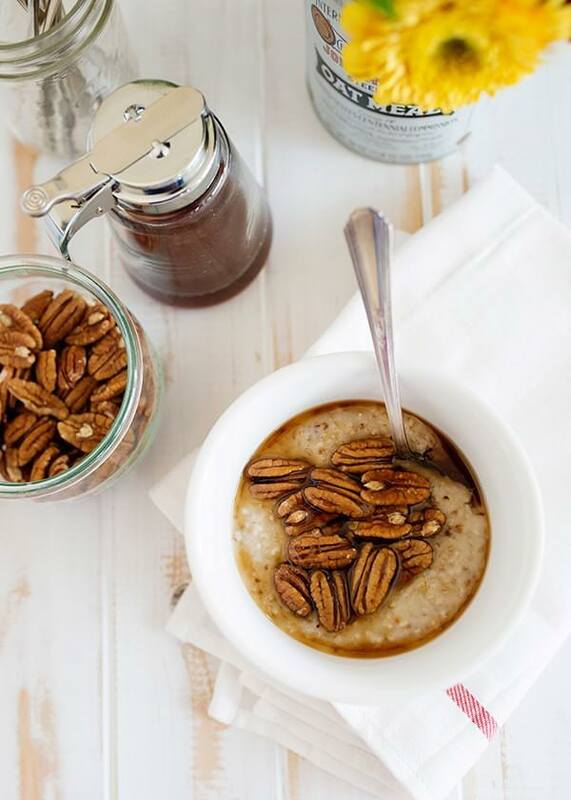 Spread pecans out in single layer and toast until they are lightly toasted, about 4-5 minutes. 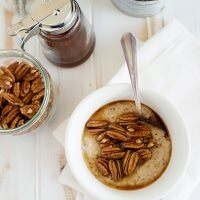 Pour syrup over oats and top with pecans. Sunshine and the English countryside in a bowl. Preheat oven to 400°. Add rhubarb, sugar, and vanilla bean to a baking dish. Add the seeded pod also. Cover pan with foil and roast for 15-20 minutes. Ladle oats into bowl. Top with rhubarb, a spoonful of lemon curd, and pour cream over. A classic flavor combination – almond, coconut, and chocolate. The mini chips melt into the warm oats and swirl chocolate throughout the bowl. Heaven. Preheat oven to 350°. Add coconut and almond in a single layer to a sheet pan. Toast until lightly brown on the edges. 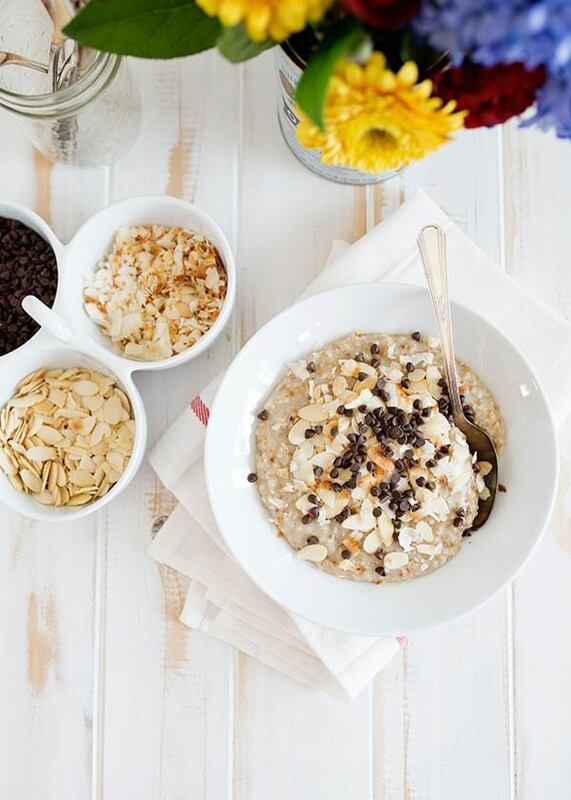 Top bowls of oats with toasted coconut, toasted almonds, and mini chocolate chips. Fresh berries and whipped cream with some crunch from white chocolate chips. Ladle oats into a bowl. 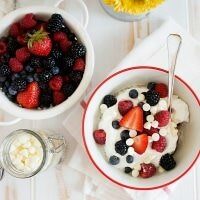 Top with a spoonful of whipped cream, berries, and white chocolate chips. 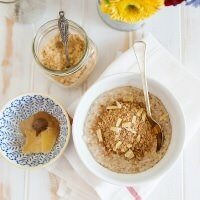 Brown sugar and lots of warm spices makes a perfect bowl of oats for a cold day. Mix together brown sugar, spices, and ginger in a small bowl. Ladle oats into a bowl and top with2 Tablespoons of the sugar and spice mixture. This post was sponsored by McCann’s Steel Cut Irish Oatmeal®. I carefully select brands that I feel reflect the values and goals of this site. You can read more about the company and their best practices here. All opinions are 100% my own. 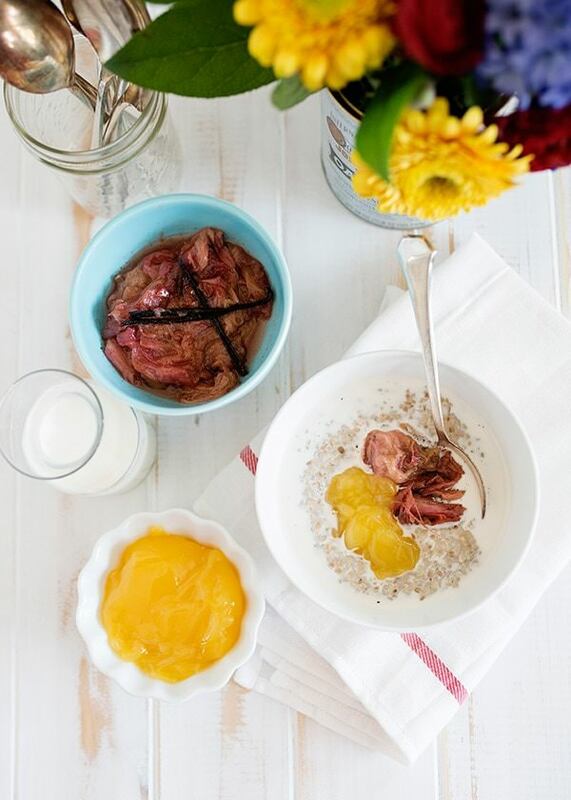 Have you tried overnight oats with steel cut oats? I hate the texture of regular oats. Just curious if it would work woth the steel cut. I haven’t tried it, but I think that it does. Steel cut don’t have the same texture as regular oats when cooked. It reminds me a little of barley. 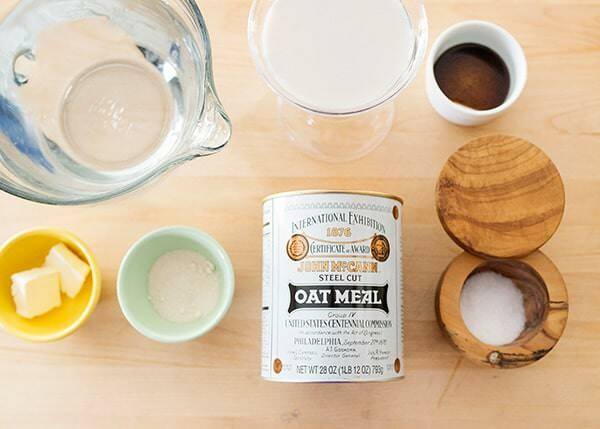 Can you batch cook the oats and use for several days? I have never had any real success with this, and hoped maybe you had found the secret. I’ve never tried to do that. I think that the only answer is overnight oats, and they aren’t cooked. More of a muesli. Slow cook them. 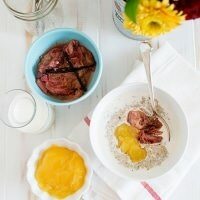 I always do my steel cut oats in the slow cooker, means they are ready to go for breakfast when you get up. I have also successfully reheated them in the microwave for the following couple of days, they do need more liquid added to them though.